Visiting Disney world is every child's dream. Whether you experience this vacation wonderland as a child or as an adult, there are several things you can do to maximize the fun and minimize the expenses. 1. Protect your health while you travel. Disney world is located in the sunshine state of Florida, so you can expect to have to contend with lots sunshine, harmful sunrays, and warm ( I mean hot) weather. Be sure to pack your sunscreen, sun glasses, and hats. And once you are there, remember to drink plenty of water. Another health concern is motion sickness. If you or your child suffer from motion sickness, just say "no" to the wilder rides. 2. Beware of Souvenir Madness. Even the most frugal Disney visitor will surely buy some souvenirs to remind him of his Disney vacation long after he returns home. But its easy to get carried away and go way over board. So decide in advance on a "family souvenir budget" an stick to it. Get the kids involved too, so that they know in advance what the limits are, and that they are expected to help stay within the family budget. 3. Minimize Snacking At the Parks. The quickest way to blow your budget is buy buying snacks on-site. The costs of pop corn and ice cream skyrocket once you enter the parks. To avoid spending unnecessary money on on-site snacks, try buying your snacks in advance and agreeing to an itinerary before entering the park. Once everyone has agreed upon the time for the "snack break", it's easy to just enjoy all the rides until the "snack time" arrives and then head out for quick snack. 4. Stay at Non-Disney Hotels. Staying off-site can reduce your accommodation expenses considerably. Not only do you save on hotel expenses, but off-site food such as breakfasts and lunches can mean tremendous savings as well. This may seem logical, but it needs to be specifically mentioned. The top peak seasons when Disney is busiest is from Christmas through New Years day, as well as during spring breaks and Easter weekends. If at all possible, you should avoid visiting Disney during these periods. On the other hand, the best time to visit Disney is after the thanksgiving weekend until Christmas, the second week of January through the first half of February, or the week after Easter until early June. With a little planning on your part, the lines wont be that long after all. 6. Get to the parks Extra Early. You may be surprised to know that the theme parks open about 30 minutes earlier than the "official" opening time. This means that if you get to the parks about one hour before the official opening time, you are at a major advantage above the other visitors. You may be able to enjoy four rides in about one hour if you get a early head start. The same four rides may well require three hours "waiting time" if you arrive later. The best way to really enjoy Disney world and get the best value for you money is to plan in advance what you want to do and see. The less time you spend waiting in lines or trying to figure out what to do next, the more fun you will have and the more value you will get for your money! So, just use these seven secrets and get ready for a "magical" vacation! Disney world vacations are what most kids dream of. 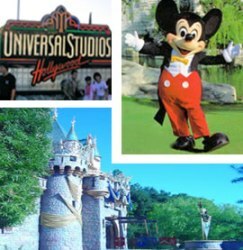 Visit http://vacation.every1loves2travel.com and start planning your disney world family vacation today!